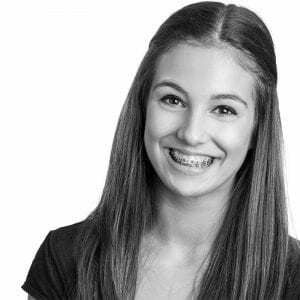 What Braces are Best for My Child? We are on a mission to create a healthy bite for your child and today we have more options than ever for making that happen. Traditional metal braces are a great fit for many patients, but new alternatives like ceramic braces and Invisalign® are giving traditional metal braces some serious competition. For many patients, the choice for straight teeth comes down to cost, appearance, and the level of maintenance needed to achieve a beautiful, healthy smile. Orthodontic treatment, whether it is done with braces or Invisalign®, is accomplished by putting pressure on the teeth to move them into a new position. In the case of traditional braces, brackets are bonded to the tooth surface. An archwire is then placed that puts pressure on the teeth. That wire is kept in place by small, often colorful ties. Patients need to see their orthodontist every six to eight weeks to have the wire adjusted and new ties placed. The good news is that even traditional braces are a far cry from the old school appliances many parents grew up with. Metal braces are far less intrusive and noticeable than they used to be. The size of individual braces, also known as brackets, has significantly decreased over time. The materials used to make archwires has also changed; this results in lighter forces on the teeth making the orthodontic process more comfortable for patients. The ties that hold the wire to the brackets come in a variety of colors. For many patients choosing these colors at each visit is one of the most exciting parts of having metal braces. The pros: Metal braces can withstand the most pressure of any orthodontic appliance. They are less likely to break than ceramic brackets; this is a definite advantage for those patients who have a hard time staying away from the hard and sticky foods that should be avoided during orthodontic treatment. Metal braces may be the best option for patients who need more complex orthodontic treatment. They are also great for patients that want fun colors to match holidays, sports teams, or a special outfit! The cons: Metal braces are the most clearly visible treatment option which may not be desirable for patients who are self-conscious about their appearance. Metal brackets can also cause irritation of the cheeks and gums when the braces are first placed. Ceramic braces are similar to metal braces and use the same archwire and bracket system, however ceramic braces are less noticeable because the brackets are made of clear or tooth-colored ceramic material. Like metal braces, ceramic braces also use ties to hold the wire in place, but these ties are generally clear or white to blend in with the teeth. The pros: Ceramic braces are less visible than metal but are still strong and durable. Some patients think they are more comfortable than metal braces. For patients who might not be good candidates for clear aligners and who don’t want metal brackets, ceramic braces are a great alternative. The cons: Ceramic braces can stain if certain foods or drinks are frequently consumed or if the braces and teeth are not properly cleaned. They do break more easily than metal braces so it is very important that patients are careful with what they eat. Removable clear aligners like Invisalign® are more popular than ever, offering patients a more flexible and less noticeable orthodontic treatment. Your orthodontist creates a customized plan for gradually straightening your teeth using a set of clear aligner trays to shift the teeth into the desired position. This means a new aligner tray every one to two weeks. Aligners need to be worn for 20 to 22 hours a day to be effective, and many patients appreciate the chance to remove their appliances while eating and cleaning their teeth. The Pros: Invisalign® is becoming an increasingly popular choice for both teens and adults. Aligners are clear and much less visible than braces so they can be a great choice for patients who might be self-conscious about metal braces. One of the main benefits of aligners is that they are removable. This makes things like flossing, brushing, and eating much easier. Additionally, the food restrictions that many patients face with traditional braces (i.e. overly hard or chewy food), do not apply when using aligners. Many patients also report that the plastic used for removable aligners is less irritating to the cheeks than braces. Another advantage of clear aligners is that orthodontic office visits are less frequent with Invisalign® which saves patients time. The cons: Aligners only work when they are worn and thus may not be the best option for patients who are not ready to take responsibility for their treatment. Aligners must be taken out to eat and immediately placed back in the mouth after eating. Patients who frequently lose things or are forgetful may want to consider an alternative form of orthodontic treatment. There are a variety of great orthodontic treatment options. Your orthodontist is an important partner in helping you make the best decisions based on all of the considerations. 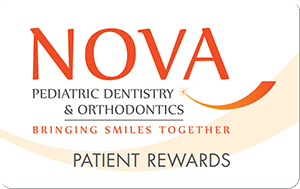 With years of expertise and a caring approach, NOVA Pediatric Dentistry & Orthodontics will help you choose the best type of orthodontic treatment for you or your child.